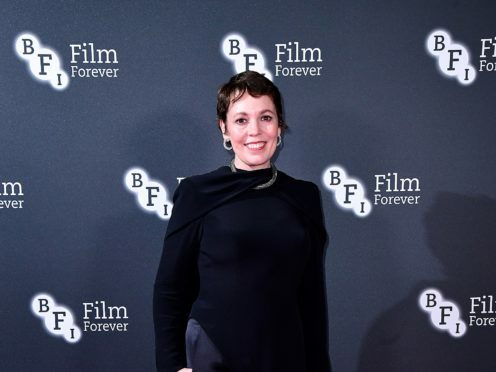 Olivia Colman has said receiving the BFI Fellowship at an event held in her honour felt like “a surprise birthday party… on the back of a lovely year”. The Oscar-winning actress was awarded the British Film Institute’s most prestigious accolade at an event at London’s Rosewood Hotel. She was presented the award by The Favourite director Yorgos Lanthimos, who praised her ability to “infuse each moment onscreen with such great humanity, drama and humour”. The 45-year-old, who beat the likes of Hollywood stalwart Glenn Close to be named best actress at the Oscars, also worked with Lanthimos on 2015’s The Lobster. The event, hosted by BFI chairman Josh Berger, was held in “recognition of her distinctive and prodigious acting talents and the impact she has on audiences all over the world”. The BFI Fellowship is the latest in a long list of recent achievements for the actress, whose performance as Queen Anne in The Favourite also earned her a Bafta and a Golden Globe. Other guests included Colman’s Broadchurch co-star David Tennant, Jim Broadbent, Richard Curtis and Emma Freud, Helena Bonham Carter, Richard E Grant and Anne-Marie Duff.